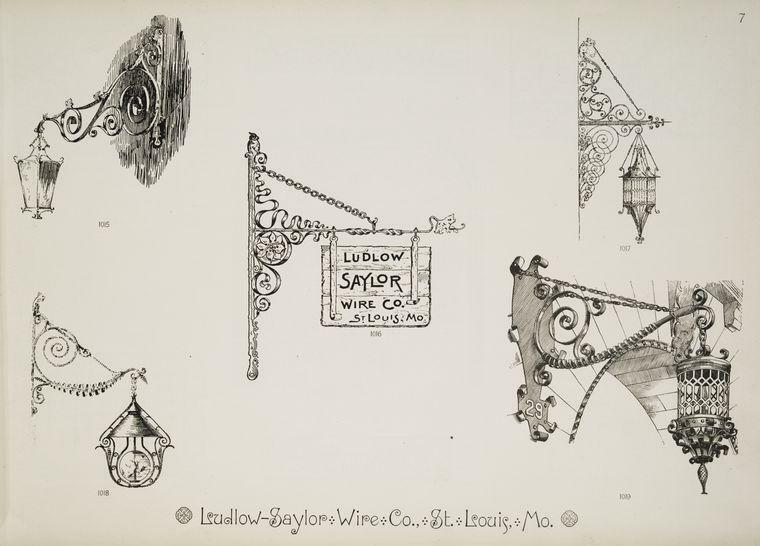 History of art nouveau: Metalwork designs from late 19th century US. 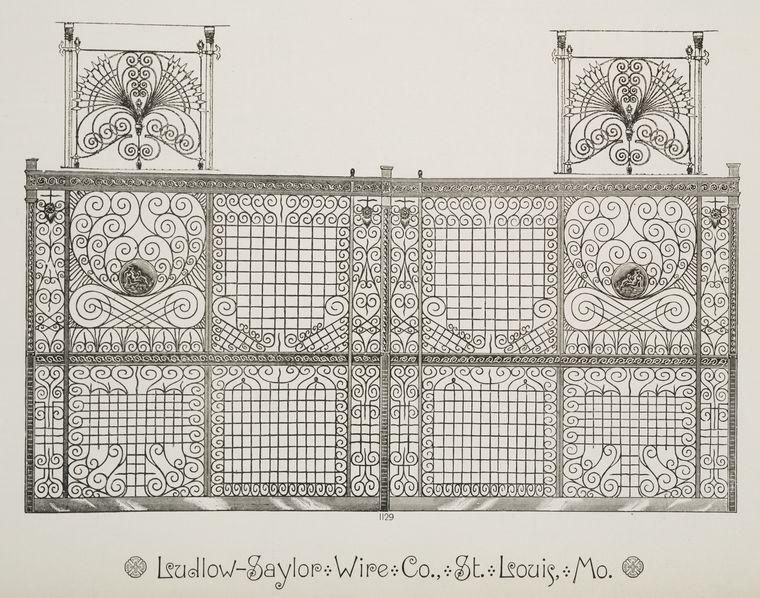 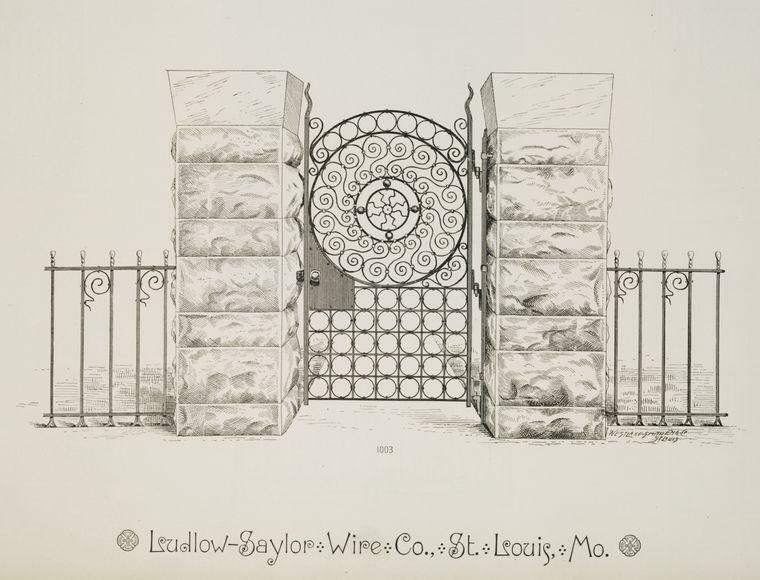 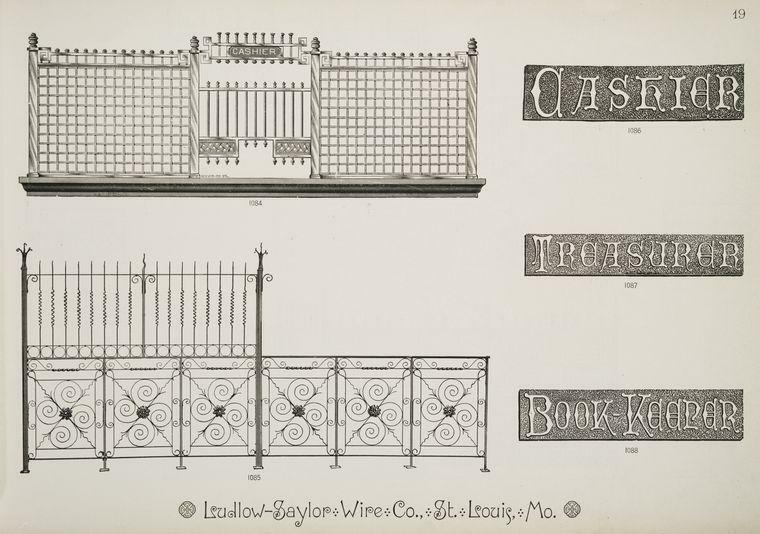 The St. Louis–based Ludlow-Saylor Wire Company published this catalog in 1895, to showcase its designs for decorative gates, screens, transoms, and sconces. 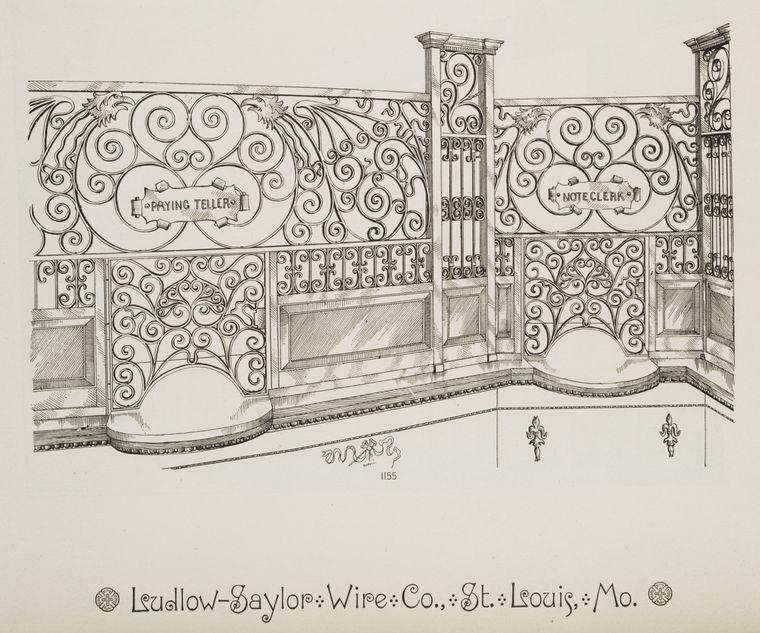 Some of the images depict the metalwork in context—in a bank’s lobby or set into the entrance to a house’s driveway—while others gather several possible designs against a blank background, showing the range of possibilities. 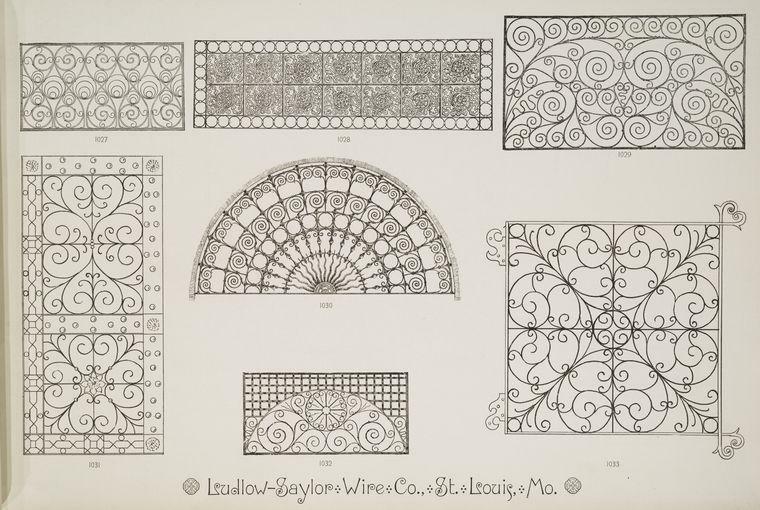 In the 1890s, the art nouveau style, shaped by British and German artists who argued for the use of natural forms in decoration, had American designers incorporating sinuous forms and curving lines in their work. 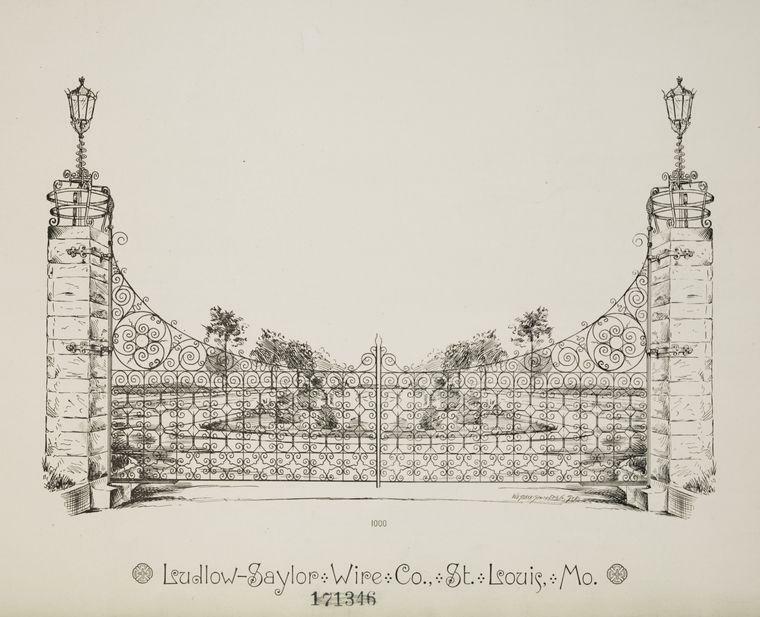 A catalog like this one shows how the popularity of this style also influenced the direction of companies like Ludlow-Saylor, which sold ready-made nouveau elements to architects and clients looking to update the design of homes or businesses. 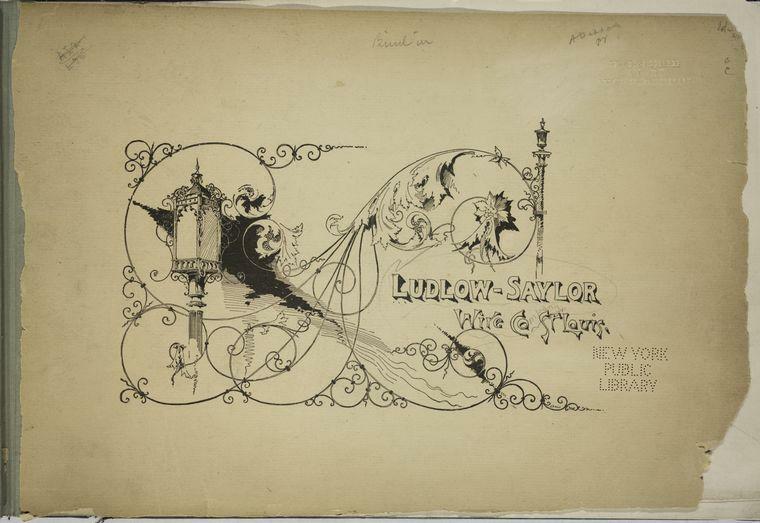 The whole Ludlow-Saylor 1895 catalog can be found online in the New York Public Library’s digital collections.